Anthony Chiodo, MD, MBA is pleased to be asked to be a volunteer for the Spinal Cord Injury Foundation. 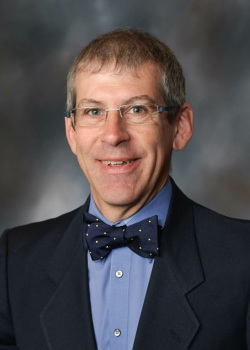 He is currently the medical director of Spinal Cord Injury Medicine at the University of Michigan Department of Physical Medicine and Rehabilitation. He directs the Adult Spasticity Clinic there and is an associate director of the Adult Assistive Ventilation Clinic. When not working at the University or in my many volunteer activities in national PM&R organizations, I enjoy tennis, bicycling, running and gardening with me wife, Wendy.